In its second season, inline and roller skating in the US Bank Stadium begins November 14, 2017. Skate hours are from 5pm to 9pm. No January Dates. February dates pending. New this year are season passes. Adults are $100. Kids are $50. Otherwise, Adults are $10 per session. Children 12 and Under are $5 per session plus online service fees. Skaters will need to bring their own equipment to participate as skate rental will not be available. Skaters are required to bring their own safety gear, including helmets. Participants are welcome to bring inline skating equipment to the stadium and will be subject to a bag search and standard security procedures. A bag check will be offered for $3 per event. After purchasing tickets, inline skaters will need to sign a waiver in order to skate at U.S. Bank Stadium. Held September 9th, 2017, the first annual Skate for Sarah – “Keep the rubber on the road” basic inline (rollerblade) skate lesson for new skaters in exchange for donations to Operation Smile benefit was powerful. U.S Bank Stadium Adds 2 new dates to their 2018 Inline Skating Schedule. Omits January Dates. Click here for more information. For a brief history of inline skate lesson, click here. 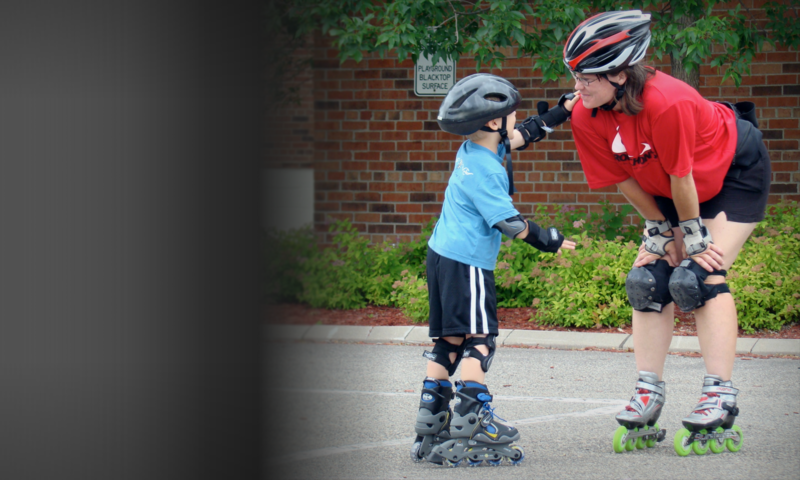 There are many reasons to take an outdoor inline skate lesson. Click here to learn Why Take a Lesson. For a Fun Social Skate and bike hosted by the Northshore Inline Marathon, click here on Munger Trail Skate.